In town quiet location. This newly constructed home is reminiscent of the turn of the century homes in the area with modern conveniences. 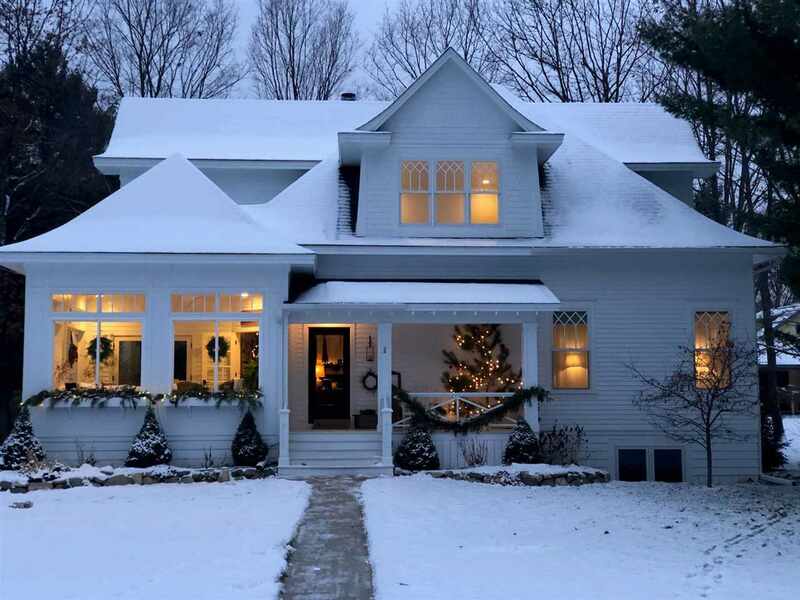 Inspired by Earl Mead architecture, this home has 9.5 foot main floor ceilings, crown molding throughout, three master bedrooms with ensuite baths and walk in closets, heated floors in two baths. The home has two staircases, attached garage, wood burning fireplace with ash bin, wood bin with exterior access, and gas starter (easy conversion to gas if preferred). The kitchen is open to the living area, with an AGA range, Bosch dishwasher, Marvel refrigerator, soap stone counters, farmhouse sink and full pantry. Two covered porches extend living space, one four~season room may be used as a porch, dining or family room, and private back deck has a Hot Springs Spa Salt water hot tub and a shower. Fourth bedroom can be an office, family room, and is plumbed for a bathroom. Full basement has 9 foot ceilings, egress, and is also plumbed for a full bath. Landscaped with rock walls and beautiful gardens. Central air, irrigation and convenient location. Home is available furnished, some exclusions apply. Seller is a licensed real estate sale person in the State of Michigan..